Seattle, WA., May 30th, 2018 — TUNE, the global leader in marketing measurement, today unveiled new measurement capabilities based on a new integration with the Apple Search Ads Attribution API. The update enables marketers to accurately measure the difference between a new and returning app customer. 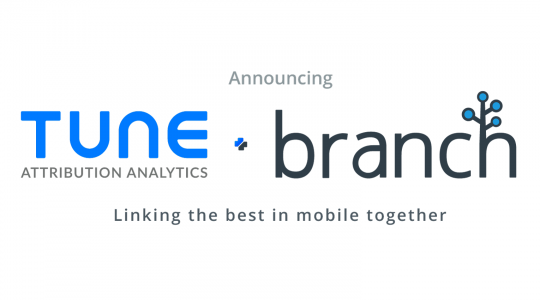 TUNE is the first mobile attribution and analytics solution to integrate the updated Apple Search Ads Attribution API to its measurement product, TUNE Marketing Console, which enables marketers to accurately track app installs and optimize ad spend. With this update, Search Ads now gives additional transparency into conversions, denoting which are new app downloads or redownloads. This data, available in TUNE, has the potential to change how marketers segment and engage with returning, high intent app customers, and gives developers a clearer picture of the impact of their vital marketing campaigns. To take full advantage of the API, updates to the TUNE Marketing Console, including access to data and new cohort reporting make it possible to conduct lifetime value analyses of returning app customers. In a new report, TUNE examined 3.1 billion global app installs between November 2017 and May 2018, to better understand the scope of consumer app download behavior. Based on TUNE’s own global data set and research, 42 percent of app installs were reinstalls. In further research conducted by TUNE of more than 1,000 smartphone owners, 72 percent reinstalled an app for reasons other than a lack of space on their device. In fact, 65 percent reinstall apps after an intentional app store search. Understanding how, when and why a customer downloads an app is vital to building a high growth marketing strategy and is a primary reason why marketers rely on TUNE measurement solutions. For TUNE customers like The Economist having access to this information can significantly alter their marketing and customer engagement strategy. TUNE delivers innovative measurement solutions that help marketers and their partners effectively manage campaigns, engage the right audiences, optimize ad performance, and grow their business. TUNE’s solutions are trusted by innovative mobile marketers, the largest advertising platforms, and the world’s most iconic brands. Headquartered in Seattle, Washington with over 300 employees in nine offices worldwide, TUNE solutions are used by Expedia, CVS, Subway, The New York Times, Line Corporation and more. For more information visit: www.tune.com. 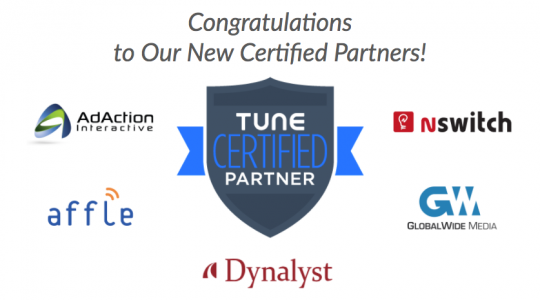 TUNE makes technology that powers successful performance-based partnerships across mobile and web. Our flagship product, HasOffers by TUNE, is the industry’s most flexible SaaS solution for tracking, optimizing, and managing mobile-focused affiliate programs. Headquartered in Seattle with hundreds of employees worldwide, TUNE is trusted by innovative affiliate marketers, the largest mobile advertising networks, and iconic brands across the globe.